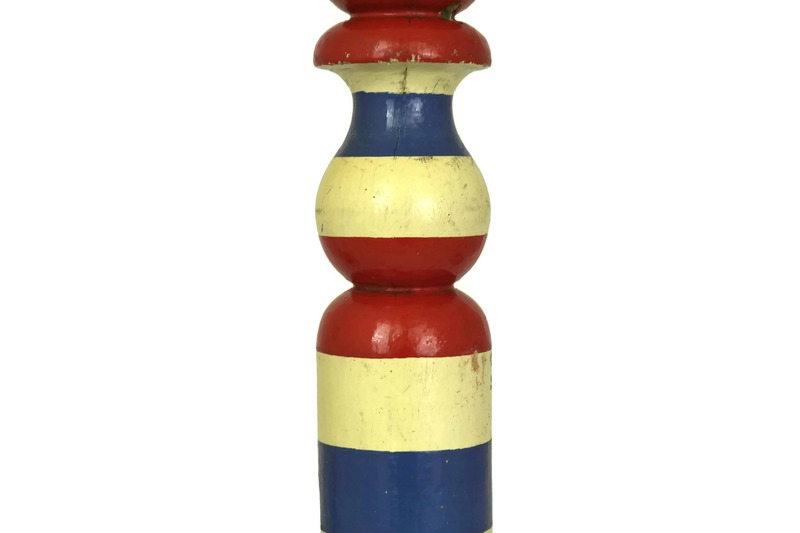 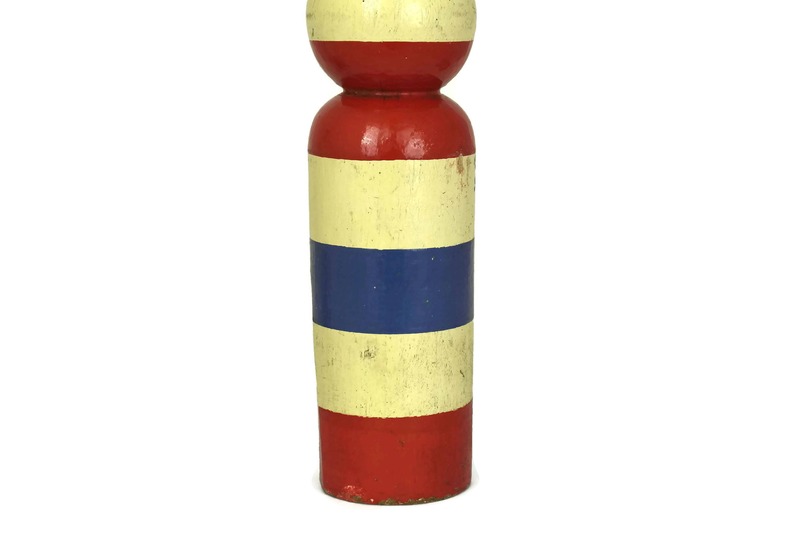 A large French antique military bowling pin from the 1910s. 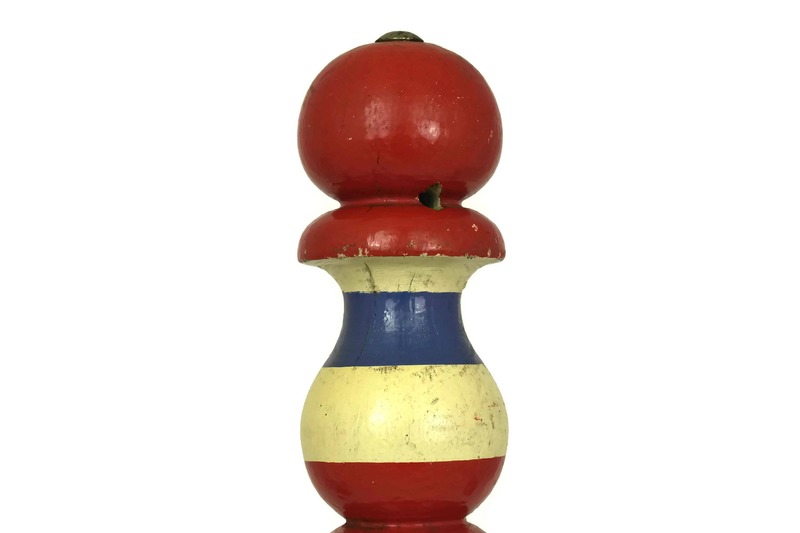 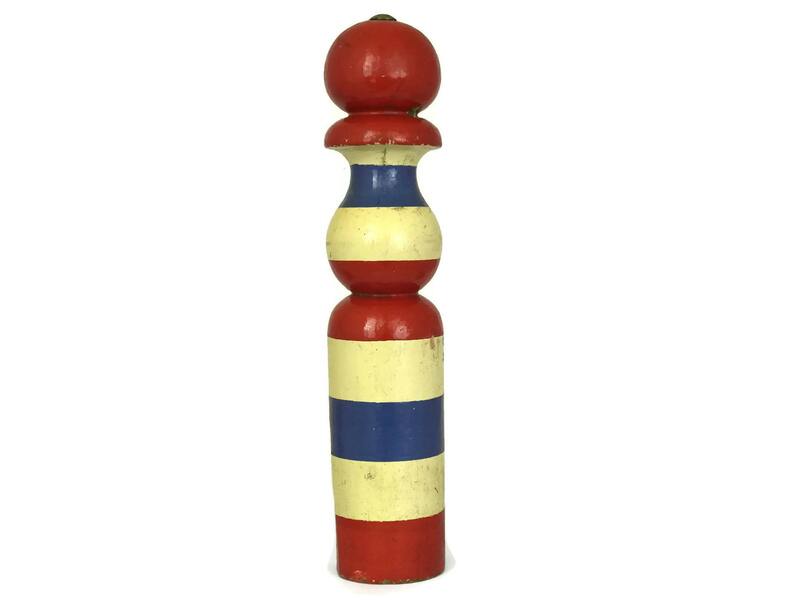 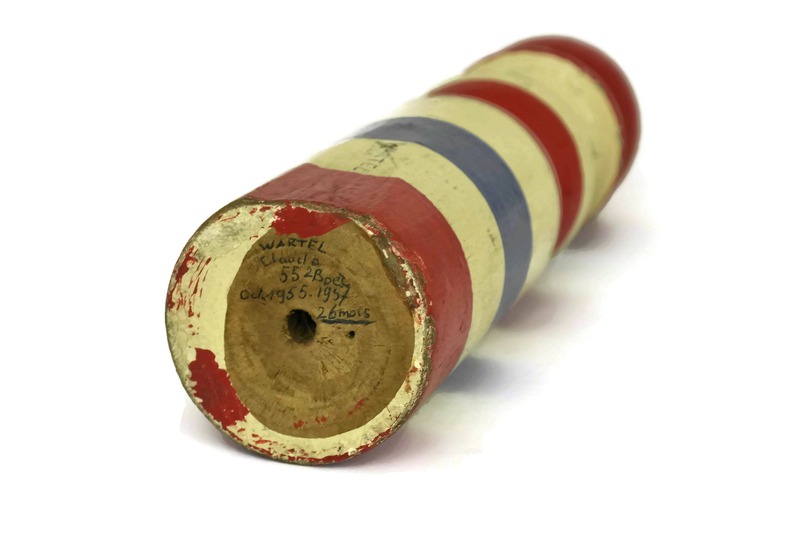 The antique wooden skittle has been painted in red, white and blue and has been personalized in the 1950s with a message in French of the name of a soldier, his military registration number, regiment and the dates of his tour of duty. 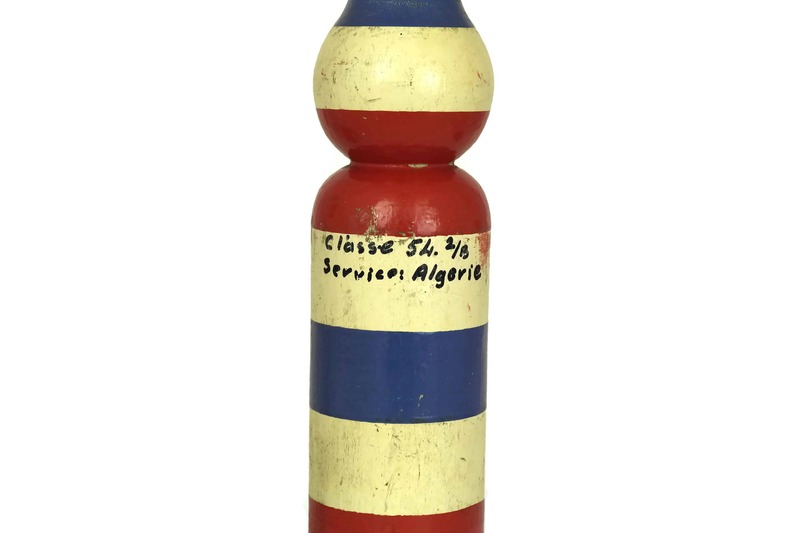 In France, there is a tradition started in the 1930s of presenting a bowling pin to a soldier when his military service is completed. 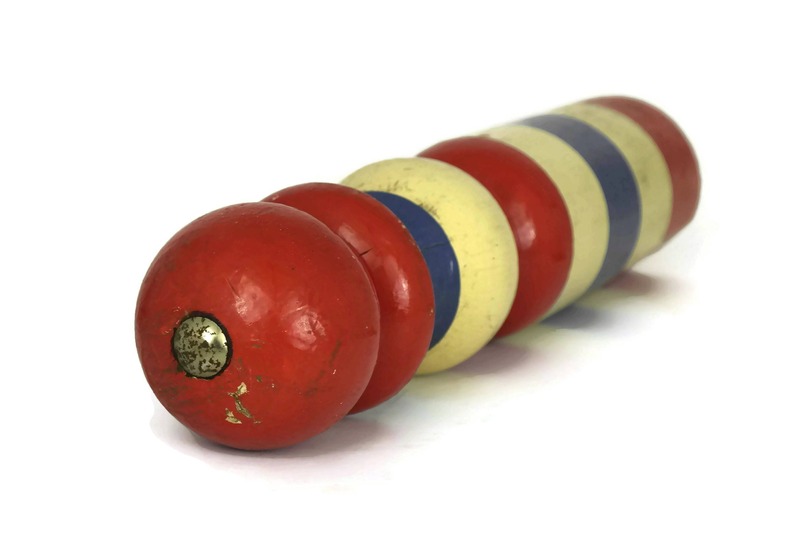 This is known in French as "Prendre La Quille" (To take the Bowling Pin). 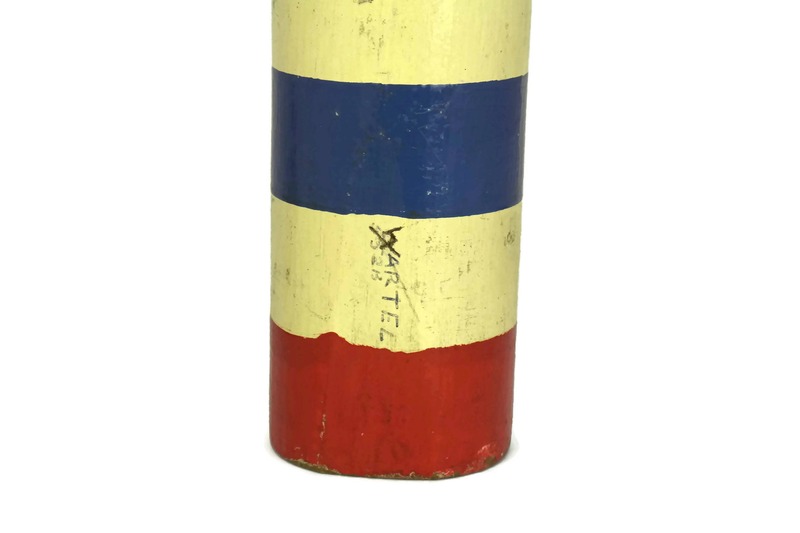 The old skittles were often painted in the colours of the soldier's regiment and he would keep this memento as a souvenir of his national service. 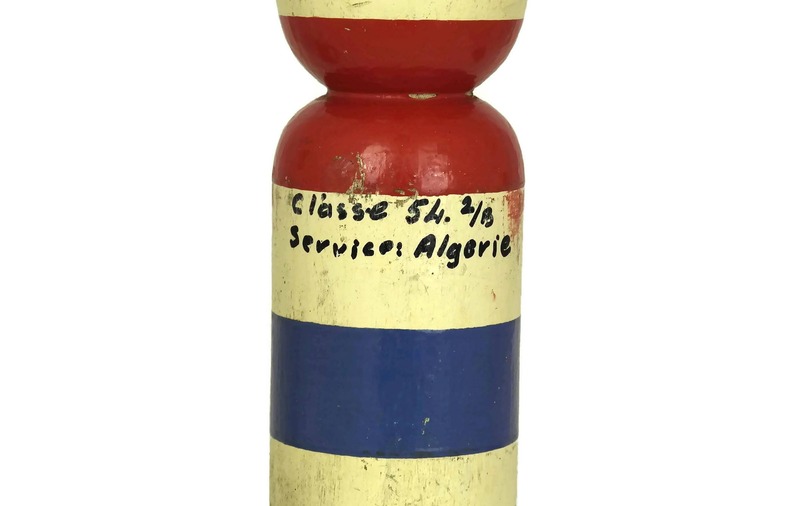 (30 cm x 6 cm). 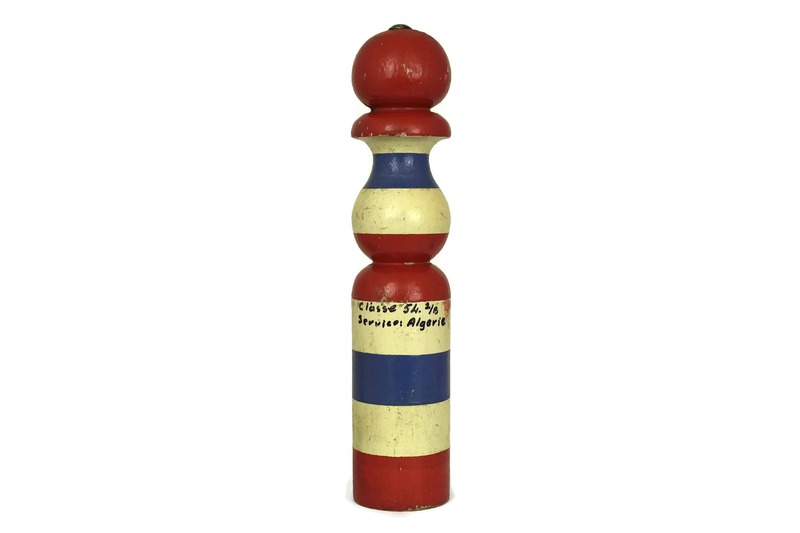 The wooden bowling pin is in good condition with some signs of age and wear.